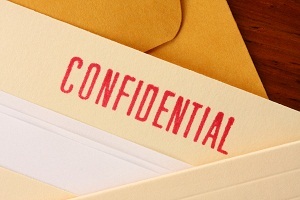 The Saint Lucia Chamber of Commerce and Agriculture is concerned about breaches of confidentiality in the public service and private sector. The private sector body’s Executive Director, Brian Louisy, has warned that the practice could result in harm to this country’s economic interests. Writing in the latest issue of ‘ED’s Perspective’, Louisy described confidentiality breaches as ‘a disturbing issue’ within the public and private sector. ” Employees are now flippantly “leaking” documents of a private nature regularly without concern for the ramifications,” Louisy asserted in the publication which was obtained by St Lucia Times. “The impact on business people’s confidence, both Foreign and Local, as to respect of privacy when doing business in Saint Lucia is now real, “ he warned. Government of Saint Lucia? Will my personal and business banking information make its way to social media?” Louisy asked. speak out and bring this practice to a stop. “Or we will all pay the price,” Louisy wrote. If persons were doing their job with greater transparency and in accordance with the various laws and regulations, then there would be no need for persons to disclose information. Most persosn do it deviously for party politics, other do it to bring corruption into the fore light to , for their perceived love of country. So be careful how you tell people to be more confidential. Do things the right way/ethically and no government will be put into this situation on aregular basis. TC you sound like one of the most unprofessional, unethical and blatantly disrespectful employee or citizen. I hope the youth of this country never fall into your hands because your advice to them on dealing with sensitive matters will surely lead to their career destruction and by extension their country. *If persons were doing their jobs with greater transparency and in accordance with the various laws and regulations, then there would be no need for persons to disclose information hapharzardly. Most persons do it deviously for party politics, others do it to bring corruption into the forelight , for their perceived love of country. So be careful how you tell people to be more confidential. Do things the right way/ethically and no government will be put into this situation on a regular basis. If persons were doing their jobs with greater transparency and in accordance with the various laws and regulations, then there would be no need for persons to disclose information hapharzardly. Most persons do it deviously for party politics, others do it to bring corruption into the forelight , for their perceived love of country. So be careful how you tell people to be more confidential. Do things the right way/ethically and no government will be put into this situation on a regular basis. Very concerned. U want to talk to me about professionalism. Let me teach u pal. There is a concept called whistle blowing which requires perso s to forgo the concept of confidentiality to a certain extent when matters involve fraud and corruption. Go and study that and not my comments. ohhh i am happy you are going down this road with me…. cause you know what? “Leaking confidential information” is unprofessional and illegal. If the law as it relates to whistle blowing applies here and there has been precedent set in any case then do it the right way as per the concept of “whistle blowing”. Facebook and the political and media hacks that the information is leaked/disseminated to does not constitute “Whistle blowing” in the legal and professional manner. Use the process as it relates to whistle blowing…and my dear there is one so now you go take a read… TEACH THE YOUTH THE RIGHT WAY! Leakage is rampant in the world today; it all started with the dirty politicians and extended to the media houses then into society; not even the worse dictator can stop that leak now, believe it or not! If someone leaks you trade secret I agree that this is not right.But if someone leaks corrupt and unethical behaviour I hsve ni difficulty with that whstsoever.